If company does not want to look at energy use, it’s a good moment to ask “Why is that?” What issues management chooses not to be aware of? The problem you can’t talk about … is now two problems. That’s all of it. You do not even need to read the the original post. Short + Smart = Brilliant! This concept has a profound implication for industrial management. 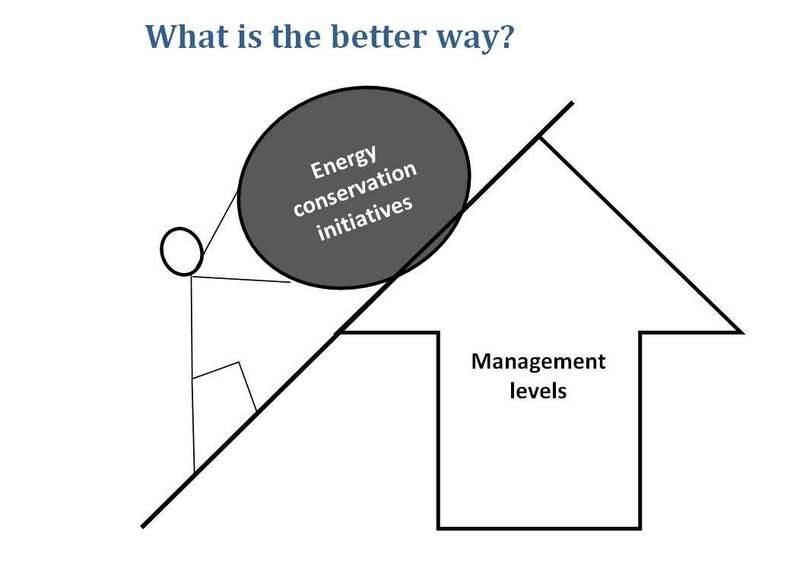 That’s right: we are not talking just energy management, it’s about management in general. Since energy is blood of industry, tracking its use equates monitoring the production process. Constantly. Consistently. With actionable reports. Avoiding energy use monitoring may signal problems that are much bigger, than energy intensity. Is something happening in the way different from prescribed technology? at the wrong time? Not doing it at all? Does production process follow the technology consistently? Is quality assured? Is safety assured? And ultimate, CEO-level questions: Is company run in a way that assures the lowest cost and risks? Any risks to brand value, to shareholders?